A pacemaker is a small electronic device that is implanted in the chest or abdomen to help control abnormal heart rhythms. It works by producing electrical impulses that stimulate the heart to beat at a normal rate. Doctors may recommend pacemakers to patients diagnosed with heart arrhythmias (a condition which causes the heart to beat in an irregular rhythm) or patients living with symptoms resulting from bradycardia (slow heart rate). Stay away from magnets or strong magnetic fields. Make certain to take medications as recommended. Keep cellphones at least six inches away from the device. Do not linger in areas with walk-through anti-theft detectors. Carry a pacemaker ID card. Inform airport security agents that you are wearing the device, as your pacemaker can set off metal detectors. Hand-held scanners contain a magnet that may interfere with your device, remind the agent to avoid using the scanner near your pacemaker. Avoid using arc welders and chainsaws. Take special precautions to protect your device during certain medical procedures such as MRI scans or radiation therapy. Most people living with pacemakers can continue their normal day-to-day physical activities. Speak to your doctor about what level of physical activity is best for you. Pacemakers require maintenance. Although the average battery life of your pacemaker is five to 15 years, your doctor may ask you to come in at least once a year to make sure your device is functioning properly. Jamaica Hospital Medical Center’s Cardiology Department provides pacemaker implantation and evaluation services. To schedule an appointment with one of our highly-trained cardiologists, please call (718) 206-7100. 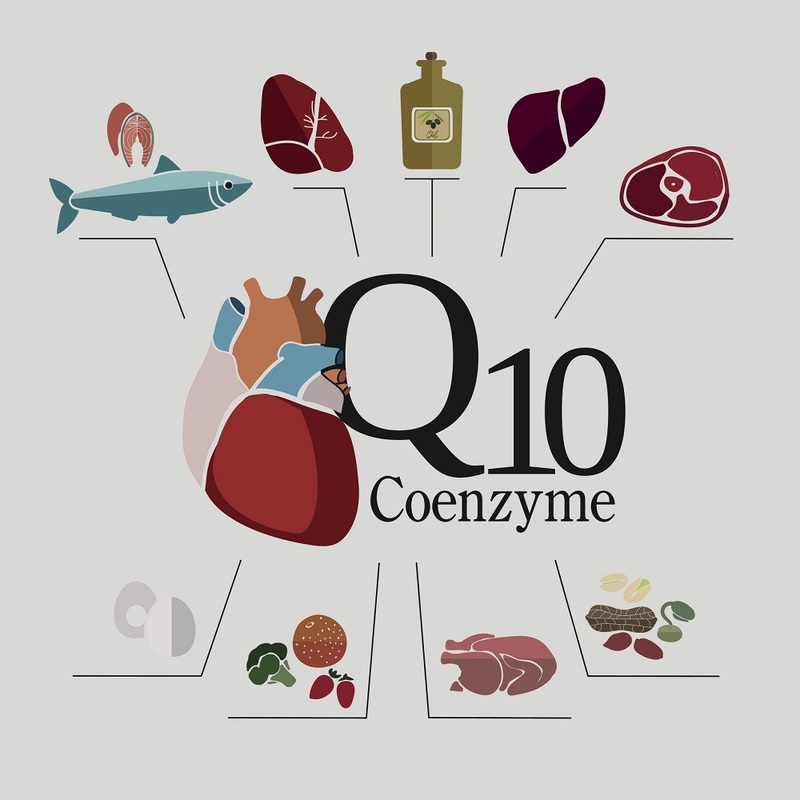 What Is CoQ10 and what are its Heart Health Benefits? Coenzyme Q10 or CoQ10 is an antioxidant that is naturally produced by our bodies to aid cells in growing and functioning properly. As we age our bodies produce less of it and those diagnosed with heart disease are often found to have inadequate amounts. Although we can obtain CoQ10 from foods such as fish, whole grains and meat, it isn’t enough to significantly increase levels in our bodies. Supplements are sometimes recommended to make up for a lack of CoQ10. Studies show they may be beneficial in slightly reducing blood pressure and improving symptoms of heart failure. Although taking CoQ10 supplements is generally safe, findings are mixed and as with any supplement, there are side effects, as well as drug interactions with certain medications. It is highly advised that you speak with your doctor before taking CoQ10. This month, many candy hearts will be exchanged in honor of Valentine’s Day, but Jamaica Hospital Medical Center wants the community to give some thoughts to hearts that are not made of chocolate. That’s because February is also American Heart Month, a special designation intended to remind everyone the importance of heart health. 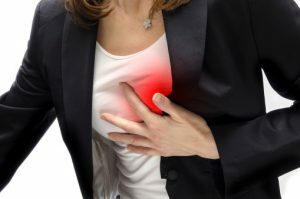 According to the Centers for Disease Control and Prevention (CDC), heart disease is the leading cause of death in both men and women in the United States and the numbers are increasing. The good news is, by working with your doctor to monitor your condition and by making changes to your lifestyle, heart disease is preventable for most. Schedule an appointment with your doctor, who can conduct a physical evaluation and test your blood pressure and cholesterol levels. If necessary, your doctor can prescribe certain medications to control both. Maintain a healthy diet and control your weight. Obesity is one of the leading contributors to heart disease. Monitor your alcohol intake and if you smoke, quit immediately. Cigarette smoke and alcohol are two factors that put individuals at an increased risk of heart disease. Please make an appointment to see your doctor to have your heart checked immediately. If you do not have a doctor, you can make an appointment at Jamaica Hospital’s Ambulatory Care Center at 718-206-7001. If a heart condition is suspected, a referral can be to our Cardiology Department, where we can perform a variety of tests to determine the best treatment plan for you. 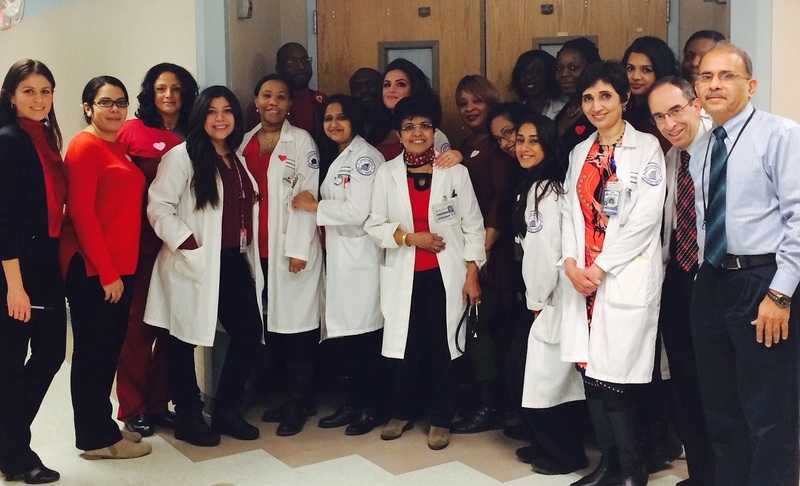 Join Jamaica Hospital as we recognize American Heart Month. By maintaining a healthy lifestyle and your regularly scheduled appointments, you can enjoy this Valentine’s Day with a clean bill of heart health. National Go Red Day was created in 2003 to raise awareness about the devastating affects cardiovascular disease has on women in the United States. Before the “Go Red” initiative was founded, many Americans believed the myth that heart disease affects men more than women. The truth is that cardiovascular disease claims the lives of 500,000 women in the U.S. every year – that’s one woman every 80 seconds. More than one-third of women have lost weight. More than 50% of women have increased their exercise. 6 out of 10 women have changed their diets. More than 40% of women have checked their cholesterol levels. The effort has proven to be effective. Today, nearly 300 fewer women die from heart disease and stroke each day and deaths in women have decreased by more than 30 percent over the past 10 years. One of the keys to maintaining this success is through continued education. All women are encouraged to “Know Your Numbers” because it is knowledge that can save their life. The five numbers all women should know are: total cholesterol, HDL (good) cholesterol, blood pressure, blood sugar and body mass index (BMI). Knowing these numbers can help women and their healthcare provider determine their risk for developing cardiovascular diseases. Jamaica Hospital employees supports Go Red For Women Day by wearing red to raise awareness. Jamaica Hospital urges all women to make an appointment with their doctor to learn their numbers. If you do not have a doctor and would like to schedule an appointment at Jamaica Hospital’s Ambulatory Care Center, please call 718-206-7100. The term heart disease is used to describe a range of conditions that affect heart function. Some of the most common types of heart disease are coronary artery disease, cardiomyopathy, atrial fibrillation and arrhythmia. According to the Centers for Disease Control and Prevention (CDC), heart disease is the leading cause of death in the United States. It is the cause of approximately one in every four deaths. These numbers are alarming and may affect you if you are at risk of developing certain heart conditions. 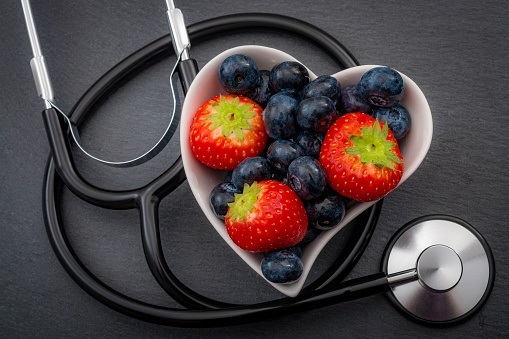 Whether your risks are modifiable or non-modifiable, the good news is, there are many things you can do to lower the chances or prevent heart disease from developing. Eating a healthy diet- Eating a moderate and well- balanced diet can help with obesity. Additionally, it can reduce the risk of diseases such as diabetes and hypertension which have been linked to heart disease. Quit smoking – Smoking damages the lining of the arteries and compromises the function of the heart. Quitting smoking will not only benefit your heart but other organs that can also be affected by tobacco smoke. Exercising- Exercising as recommended can help regulate blood pressure, keep arteries and blood vessels flexible and improve cholesterol levels. Moderating alcohol consumption- Excessive alcohol consumption can harm your heart and lead to heart failure, high blood pressure as well as cardiac arrhythmia. In addition to applying healthy lifestyle changes to your daily routine, it is also helpful to schedule annual physical exams to ensure that your body is functioning normally. To schedule an appointment with a doctor at Jamaica Hospital Medical Center, please call 718-206-7001. As the temperature increases so does the risk of having complications linked to heart disease. 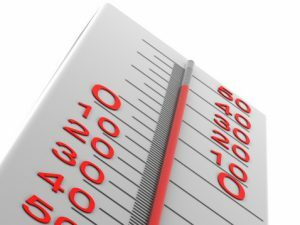 Extreme summer heat can be dangerous for people who suffer from cardiovascular issues. Studies show that cardiovascular deaths are more frequent during heat waves and complications are usually triggered by dehydration. Dehydration can occur because of excess sweating. If the body is overheating, an increase in the production of sweat is needed to keep it cool. In order to meet this demand, the heart has to work harder and faster to pump more blood to your skin. Dehydration also affects normal blood flow because a lack of fluid causes blood to thicken. If the body cannot cool itself and strain is put on the heart, a person can suffer from heat stroke, heart attack or heart failure. Keep hydrated- Drink plenty of fluids, especially water. However, stay clear of beverages that may dehydrate you such as teas, alcohol or coffee. Take cool baths or showers to help body keep cool. Wear cool and loose fitting clothing. Do not exercise or perform rigorous physical activity during extreme heat. It is always important to remember to follow the suggested precautions to stay safe during the summer heat. Does the Alcohol In Red Wine Dampen Its Benefits? There have been many reports about how red wine can lower your blood pressure and improve your heart health. But don’t be so quick to open that bottle of Merlot at home. That’s because recent studies suggest that the antioxidants found in wine that may help prevent heart disease, are much more effective when the wine is non-alcoholic. Wine contains antioxidants called polyphenols that can help prevent heart diseases. They increase the levels of HDLs, or “good cholesterol” in the blood, which protects against artery damage and can lower blood pressure. Another potential benefit is, polyphenols may help protect blood vessels in your heart and prevent blood clots. Unfortunately, alcohol in red wine may dampen the blood pressure-lowering potential of its antioxidants. A study published in Circulation Research found that when men drank red wine containing alcohol, their blood pressure only went down slightly, but when they drank non-alcoholic red wine, their blood pressure went down enough to lower their risk of heart disease by 14%. This is good news for those who want to receive the benefits of red wine, but don’t or can’t consume alcohol. In addition, while red wine has shown some benefits in moderation, consuming too much poses several health risks. If you have high blood pressure and want to learn more about the potential benefits of red wine, please speak with your doctor. Jamaica Hospital’s Ambulatory Care Center has many doctors who can help. To make an appointment, please call, 718-206-7001.